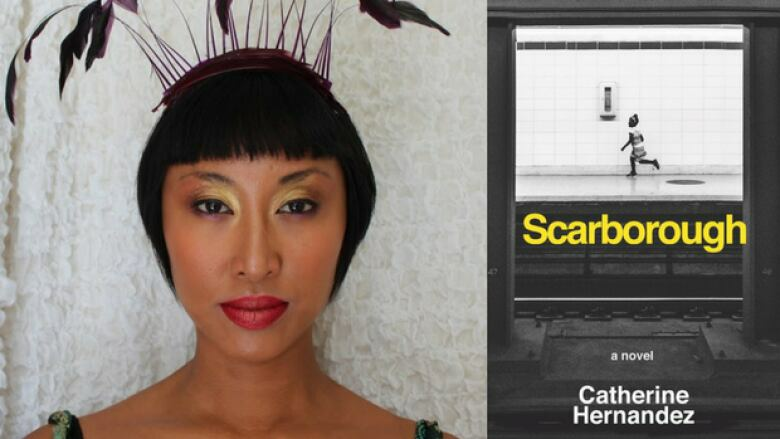 The former theatre practitioner discusses the creative process behind her novel Scarborough. Catherine Hernandez usually creates theatre, but she recently turned to fiction. Her debut novel, Scarborough, is a multi-voiced story about a Toronto neighbourhood that refuses to fall apart in the face of poverty and crime. In her own words, Hernandez shares how she wrote Scarborough. "In Scarborough, you are constantly surrounded by characters. Every day there is somebody who wants to tell you their story. It was difficult to narrow it down. I knew there were particular characters that spoke to me. I wanted there to be two moms who were struggling. There was a child I once interviewed who was being bullied for being feminine and I knew that was a story I wanted to focus on. We deal with children who are surviving neglect all the time, so that was also important for me to explore. "There were several different Scarborough tragedies that happened while I was writing, that helped me figure out how I was going to shape this book. I recognized that Scarborough — despite all the tragedies, like shootings or domestic violence — comes together in order to stand by each other. I wanted to show that. I wanted to show how a community refuses to be undone." "I had written short stories about Scarborough before, but I didn't quite get the fiction thing. I could read it out loud and it would be very entertaining, but it was living in theatrical purgatory. The words weren't strung together in a way where someone could read it by themselves and it would stand on its own. It demanded that I perform it because I was relying on humour and timing. "I finally realized that in theatre you have your lighting designer, your sound designer, your director, your actors. As a theatre practitioner, when you're writing a script, your ego has to sit back and allow the actor to interpret it and allow the director to push it in the right direction. You have to allow your team to do the work. That's not the case as an author. As an author, you have to do everything. That was something I had to get used to. It was very empowering but very strange at the same time." "I don't believe in writer's block. I believe it's your body saying, 'It's not now.' Go for a walk, eat something, maybe look at other people's art and then go back to writing. I've never had writer's block because of that. I trust that the words will come when they come." Catherine Hernandez's comments have been edited and condensed.